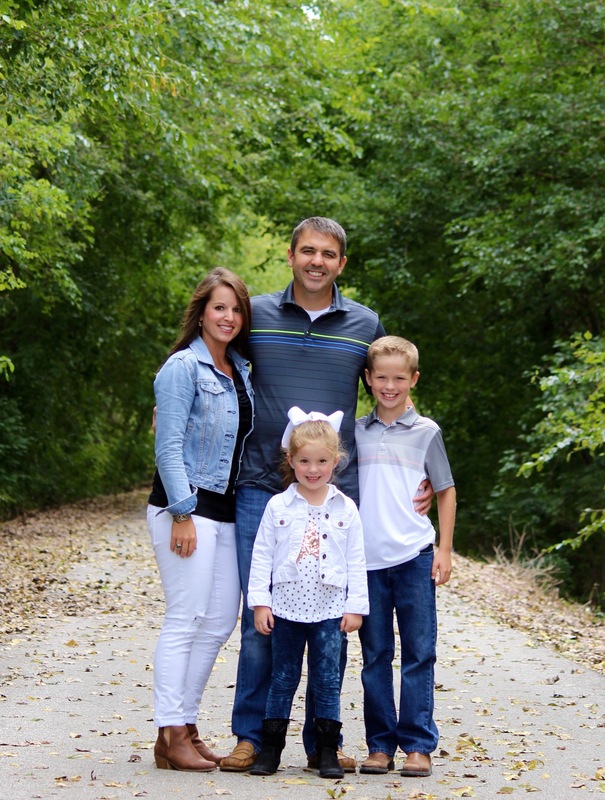 Snagging a Great Wolf Lodge Groupon to save money on your next family getaway is a fantastic idea. 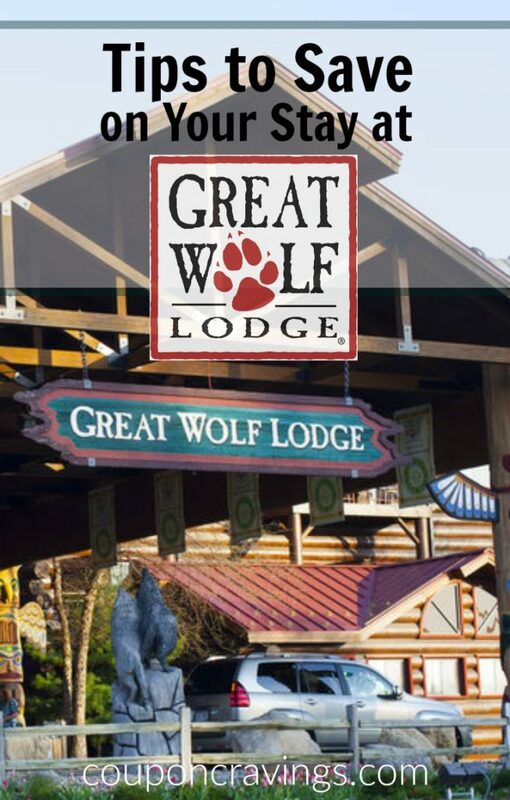 Not only can it save you money on your stay in the Great Wolf Lodge Hotel rooms, but you’ll also get credit to spend on things at the resort and tips on things to do at Great Wolf Lodge that you never knew existed. Are you ready? I’m going to tell you everything you wanted to know about a stay at Great Wolf Lodge Hotels and then some. Buckle up for the ride and get ready for lots on information and travel tips to use on your next Great Wolf Lodge family vacation. Here’s where I’ll start. You want to travel at non-peak times and you’re in luck, as that’s usually when the Great Wolf Lodge Groupon passes are available. Unfortunately, if you work Monday through Friday this does mean that you’ll want to take a day or two off from work as most of the Great Wolf Groupon passes are eligible only for Sunday through Thursday night stays. But, I’m here to tell you, the savings are worth it. What do Great Wolf Lodge Groupon Passes Include? 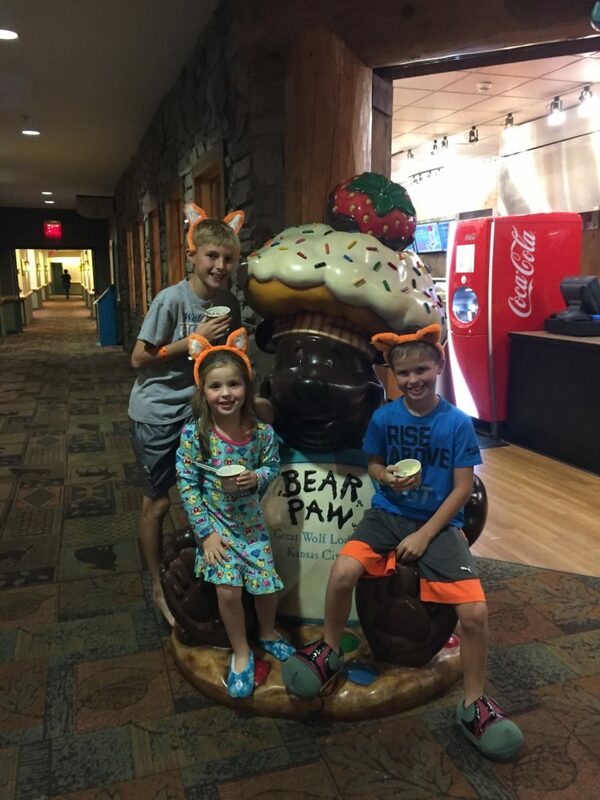 Most Great Wolf Lodge Groupon passes offer a $25 credit per night for use in the Great Wolf Lodge shops and they’ve even been known to offer free perks like breakfast, a pizza or a scoop of their delicious Blue Bunny ice cream with your Groupon. Great Wolf Lodge really shells it out and when they run a promotion, they make it really nice. Plus, whenever you buy a night’s stay at Great Wolf Lodge whether you’re using a Groupon or not, you’ll always have your Great Wolf Lodge water park passes included with your stay. This also means that no one can use just the water park, they must be a guest of the hotel in order to access the water park, and there are only so many passes offered per room so the water park will not be over capacity. I love that they do that as you know that the water park is not going to be too overcrowded. However, there are times that are better to swim in the water park. In our experience with the Waterparks at Great Wolf Lodge Hotels, it’s best to hit the water park first thing in the morning when it opens — and at that time you’ll want to hit the big slides first. As the day goes on, the lines will grow for those, so if you can get in a couple rounds of the big slides without facing a huge line, you’re in luck. 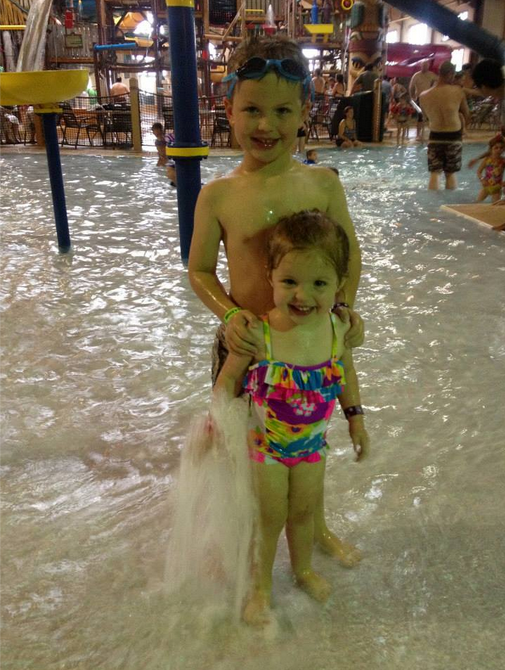 Another tip for using your Groupon – Great Wolf Lodge slows down during meal times, well atleast the waterpark does! So, eat at off-peak times and enjoy the waterpark while everyone else is eating. Win-Win! Each room has a small dorm sized refrigerator, so bring anything you can to stick in there. As of when I’m writing this post each Great Wolf Lodge room includes two complimentary water bottles and a coffee pot and a packet of ground coffee ready to be brewed, but bring everything else. I highly recommend packing a light breakfast. Cereal bars, pop tarts, Hostess donuts, for example. These are a nice light breakfast that you can eat quick and and not have to worry about a full tummy when you get on those slides. While the Great Wolf Lodge restaurants have a really nice breakfast buffet, it’s nothing to write home about, and if your kids are anything like mine, they won’t eat a $10 breakfast worth of food. So, save your breakfast buffet money for some souvenirs or ice cream. Or, a Starbucks drink which is also inside of most locations. Another thing that I recommend is bringing snacks to have in the afternoon and during the nightly storytime and clocktower show. Great Wolf Lodge hotels have a storytime in the lobby for the kids at 8 o’clock p.m. that is absolutely adorable and then, at some locations there’s also a heck of a dance party on the weekends after the storytime that kids and adults alike can participate in — now, you’re making memories! And, maybe one of my favorite things about Great Wolf Lodge is that the Great Wolf Lodge employees are also known to go completely above and beyond if you’re not completely satisfied with anything while you’re a guest staying at one of their 12 resorts. In fact, the first time that we had ever heard of Great Wolf Lodge was when they were featured on Undercover Boss. And while that was quite some time ago, I believe that they’ve kept their standards high and in check with their beliefs. Their lifeguards are second to none and I have always felt like our kids are beyond safe while we’re playing at the Great Wolf Lodge properties. And, that leads me to tell you that Great Wolfe Lodge provides Life Jackets for kids. They have several sizes available in case you don’t have one to bring. Or, of course you overpacked and have no more room in the car. Like.me.everytime. 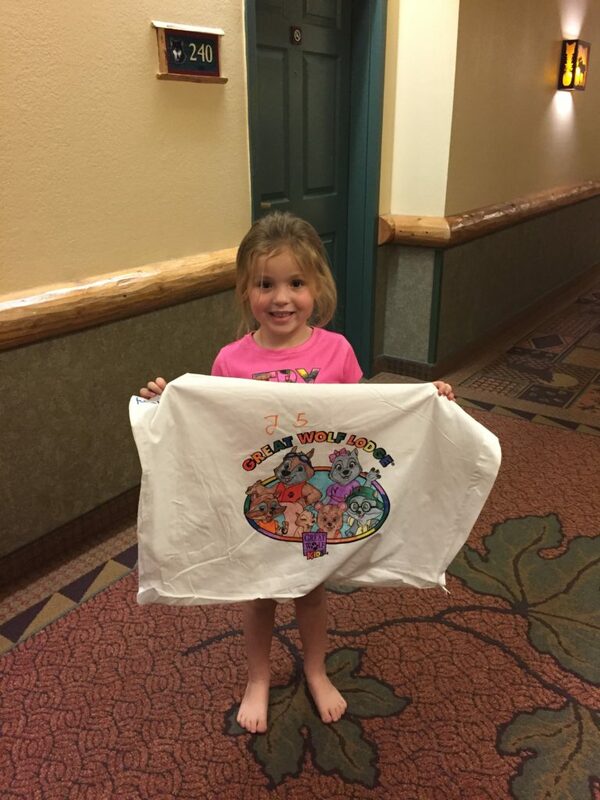 One more tip that I have to offer about staying at Great Wolf Lodge is that there are so many activities that are free that you might not want to invest in the Paw Pass or the Pup Pass. While the passes are nice to direct you to all of the perks of the hotel, they almost give you too much to do to the point where you might not have enough time to enjoy the slides. If you’re staying for over three days and two nights, I’d recommend a Paw Pass or Pup Pass, or possibly if it’s your first time going. Otherwise, I recommend looking over the free agenda the staff will give you at checkin. That has loads of fee things to do, including free crafts, more about storytime, dance party, etc. Do you have Other Ways to Save at Great Wolf Lodge? Have you been to a Great Wolf Lodge before? Do you have anything to add? 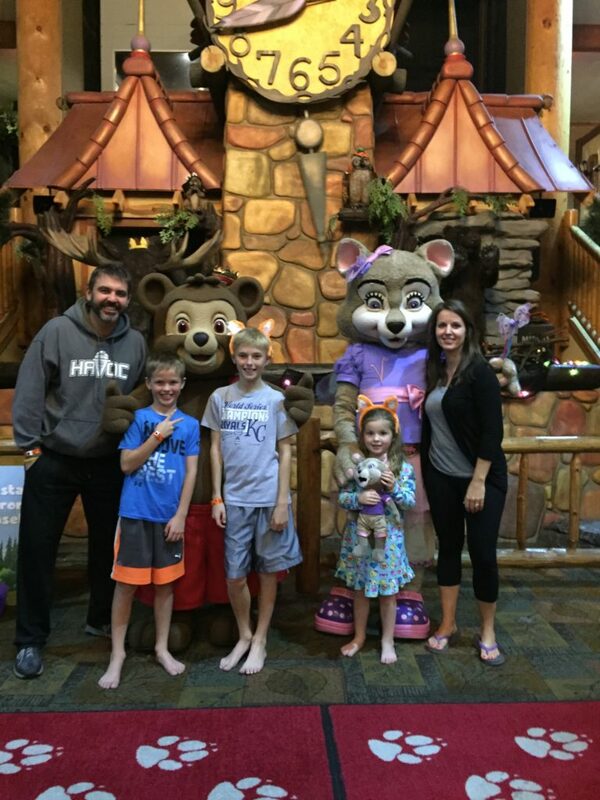 I’m sure that I’ve forgotten some things, so please, leave a comment below or email me at kate@couponcravings.com and I’d love to add any more tips to save at Great Wolf Lodge that I could have missed.